The NSCIA offers Connecticut residents that are affected by SCI a quality of life grant. Grants have been given to individuals for transportation needs, education expenses, addition wheel chair cushions, to help pay for some home and vehicle modifications and a variety of adaptive equipment/technology needs. The grant awards range from $250 to $500. The grant application must be filled out completely and include current documentation from a medical provider. You may request an application by emailing the Chapter at: nsciact@gmail.org. Subramani Seetharama, M.D., is a physiatrist, a medical doctor who specializes in Physical Medicine and Rehabilitation (PM&R). Dr. Seetharama received his B.S. in botany at the University of Delhi and graduated from medical school at the Armed Forces Medical College of University of Poona. He did his internships at the Army Command Hospital and Tata Main Hospital and residency at Kasturba Medical College Hospital, all located in India. He also earned his M.S. in microbiology at West Virginia University. He did an internship at the Ohio Valley Medical Center and his residency in PM&R at St. Francis Medical Center in Pittsburgh. 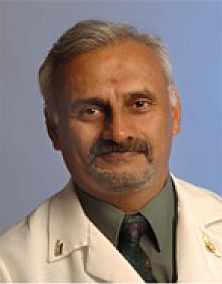 Dr. Seetharama is board certified in Physical Medicine & Rehabilitation, Spinal Cord Injury and Sports Medicine. Dr. Seetharama is the Director of the Spinal Cord Injury program at Hartford Hospital and is the Medical Director of Hartford Hospital Rehabilitation Network. He is an instructor in emergency medicine at the University of Connecticut School of Medicine. Dr. Seetharama is a member of several professional organizations, including the American Spinal Injury Association (ASIA), and has presented at a number of conferences. He is active with the National Spinal Cord Injury Association CT Chapter.